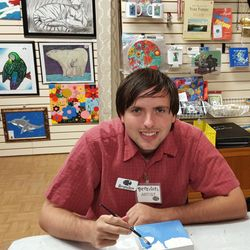 Photo: Jayson Halberstadt, artist. 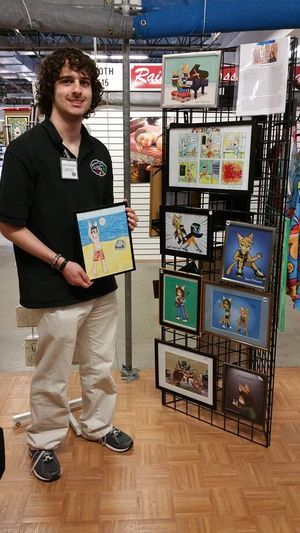 He studied Cartooning under the direction of former Disney Animator, Al Baruch. 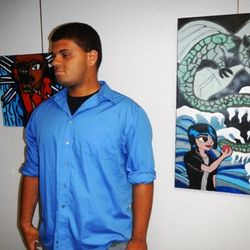 His art has been published in Virge Magazine, Asperkids: Not Your Average Coloring Book and Uncommon Minds and has been exhibited in several South Florida galleries, as well as The SOHO Gallery for Digital Art. 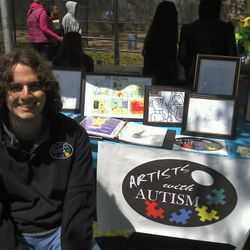 Jayson create logos, advertisements and Art for various charitable organizations and has received recognition from some of his heroes such as Derek Jeter and Geddy Lee. 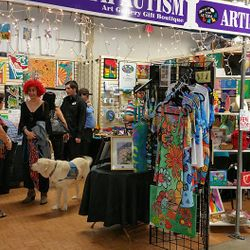 The Artists With Autism display in many local galleries and shared space of institutions that support our vision of Inclusion in the Arts. 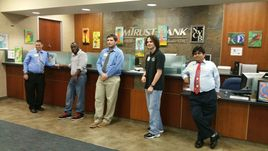 We promote micro-business ownership for individuals with disabilities. 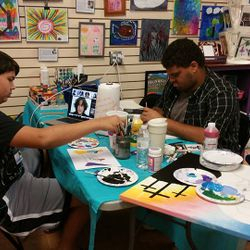 Our Entrepreneurship Program helps students "aged-out" of high school learn how to become independent Artist entrepreneurs, and is the main focus of the Gallery. 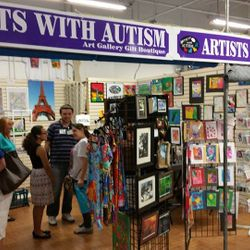 Our Gallery is located at the Festival Flea Market (enter West Entrance Booth #1519) in Pompano Beach, Florida. 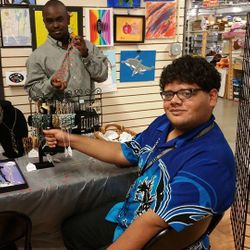 The Gallery is used as a training facility for aspiring artists wanting to learn how to market and develop there own art business. 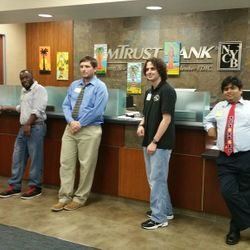 It includes a training program assessment that is used to help prepare and teach individuals the basic tools needed for entrepreneurship and to evaluate their readiness and aptitude to embark on their own micro-enterprise business venture. 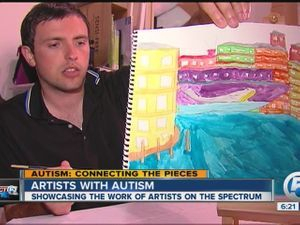 Our main goal is to provide guidance, expertise, and venue resources to aspiring artists with autism. 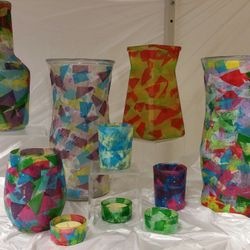 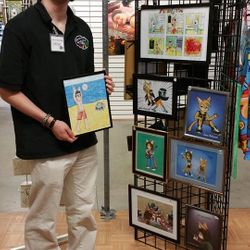 All artists conduct and maintain their own personal micro-enterprise business when participating at local art events where their art is promoted and retain 100% of their sales. 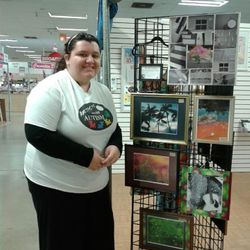 Their art is made available for purchase Print On Demand in a VIRTUAL GALLERY. 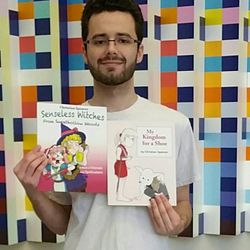 We support the neurodiversity movement. 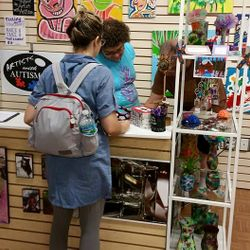 Neurodiversity refers to the idea that people experience the world differently based on their neurological attributes, and is a variation of human wiring and not a disease to be cured.